DJI's Phantom 4 Advanced drone is probably soon to be replaced by the next generation of Phantoms, but that means the deals on these drones are going to be flying fast and furious over the coming months. Today, we've got the lowest price ever for the 4 Advanced "Plus" package, which includes a remote controller with an attached 1080p display. These model GL300E remotes go for $300-400 on the open market (they're not available for purchase separately), and the smartphone mount version of the Phantom 4 Advanced has never dipped below $849 (and is rarely below $1100), making this version with the built-in display controller a heck of a deal. Even better, the deal is on B&H, meaning most states won't pay sales tax. The display remote really is a significant upgrade over the smartphone mount version, with an extremely bright 1000 nit screen offering 5 hours of control time. The DJI app is also built-in and specifically made to work with the hardware, meaning it's a lot less likely to have bugs and issues you might find in the smartphone version. It also means not heating up your smartphone or tablet up to a bajillion degrees every time you want to fly your drone, which is nice. 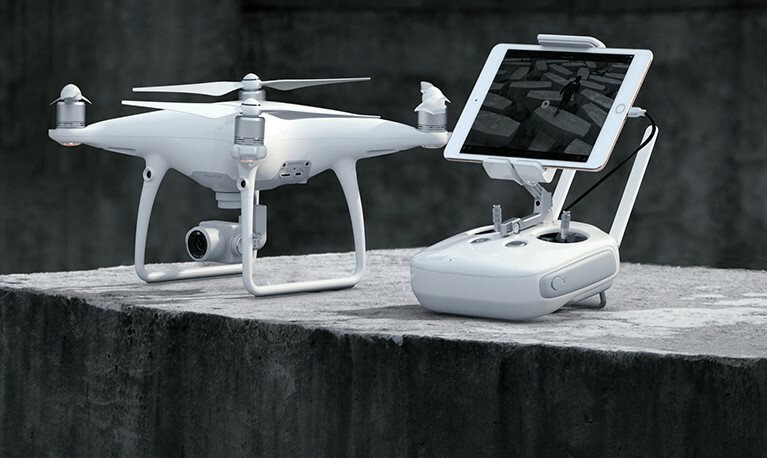 The Phantom 4 Advanced is basically a slightly de-featured version of the Phantom 4 Pro, offering similar performance with fewer obstacle avoidance capabilities and a 2.4GHz-only radio. Otherwise, it offers the same imaging capability and accessory compatibility, meaning you really aren't losing much. 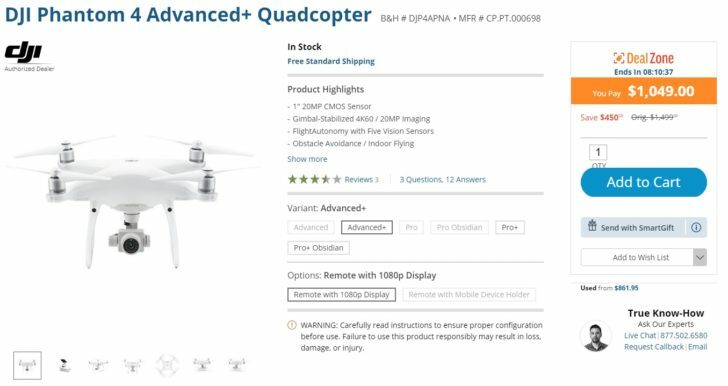 As a way to get into the semi-pro drone scene, this is a great all-in-one package at a great price.